A Texas that offers unlimited opportunity for all. That is the Texas I will lead as your governor. Texas is what America longs to be. Jobs grow here. Families grow here. Freedom grows here. It doesn’t matter what your race, age, background or ZIP code is. We are all Texans. We look to the horizon and see opportunities unbounded. We look to our families and see cultures blended and strong. 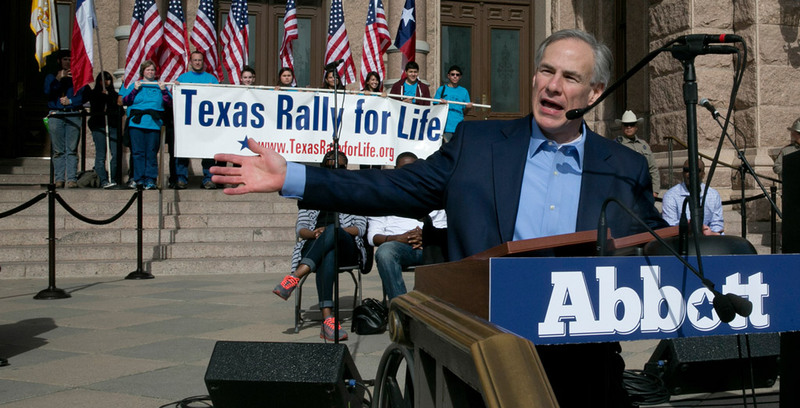 And we look to the future and ask: What is the right direction for Texas? Some answer that question by demanding more government. We’ve seen that more government leads to more spending, which leads to more taxes, which would lead to the devastation of the economic miracle we have worked so hard to create here in Texas. I have fought against that mindset, against Obamacare, against an overreaching federal government that tries to take too much of your money and run too much of your lives. The right direction is toward more freedom and opportunity for all. More opportunity for individuals — with your rights protected. More opportunity for small businesses — so you can grow and innovate and create more jobs. More opportunity for schools and teachers — with genuine local control to best educate our children. And more freedom for families — for safety in our homes and community. As governor, I will lead Texas to that prosperous future. Every Texas family deserves their own personal Texas economic miracle. And that begins with jobs. Jobs grow where free enterprise flourishes and government is restrained. That is why Texas leads in job creation, energy production, exports and more. As governor, I will secure our strong economy against forces within and from outside Texas that are looking to bring a big-government agenda to our state. I will keep Texans working by enacting fiscal reforms that will spark a new economic expansion. Working together, we will control the growth of government, rein in state debt and reduce the amount the state can borrow — so you can keep more of your hard-earned money. Just like you must live within a budget, so too should your government. Government is supposed to work for you, not against you. And because elected officials shouldn’t profit off of their positions and line their own pockets at taxpayers’ expense, I am calling for ethics reforms to change the way entrenched politicians operate in this state. 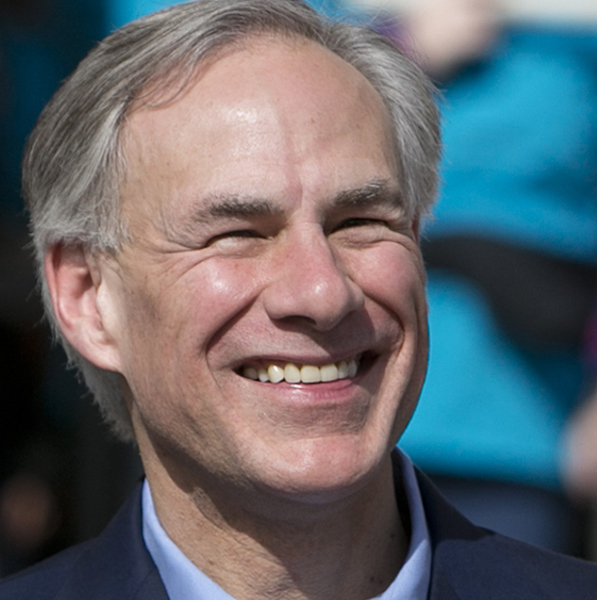 As governor, I will elevate Texas to No. 1 in the nation in education. Working together, we will help all Texans climb the ladder of success — not with unfunded mandates, but with access to a better education. We will build a solid foundation of education excellence, in every school in every district, so more of our students graduate from high school prepared to succeed in college, in high-paying skilled jobs and in our military. We will promote a culture of aspiration and achievement. That means setting expectations of excellence for our children, our teachers, our principals and our parents, and then giving educators the flexibility to achieve them. As governor, I will keep Texans secure. The federal government has failed in its duty to protect our border, forcing Texas to shoulder the burden. I will invest more to keep out the drug cartels and gangs that import crime to our state. I will protect your right to be safe in your own home and your children in their schools. And I will enforce the rule of law. In addition, because I have seen too many lives ripped apart by human trafficking, sexual assault and domestic violence, I will make protecting all Texans a priority. As governor, I will defend Texas families, Texas values and Texas’ future. Together, we will live up to the ideal that any child of any background has a chance to dream and to achieve — because we live in a Texas that offers unlimited opportunity for all. It is that aspiration for our future that drives my passion to serve as governor for the greatest people to inhabit this earth — the people of Texas. I invite you to read through all of my policy plans here. Working together, we will keep Texas growing.